Paul Hart is set to take charge of Leeds United’s academy for a second time - 20 years after guiding the club to two FA Youth Cup triumphs. Hart has agreed a deal to become Leeds’ academy director and is due to start work at Thorp Arch next week, completing the rebuilding of the club’s youth-team structure. The 62-year-old’s appointment was finalised on Friday night after talks with Leeds owner Massimo Cellino. Hart previously ran United’s academy in the early 1990s, overseeing a hugely successful period in which Leeds claimed the FA Youth Cup in 1993 and 1997 and produced a clutch of players who progressed to the first team. Paul Robinson, Jonathan Woodgate, Harry Kewell, Stephen McPhail and Alan Smith were all involved in United’s Youth Cup victory in 1997 and that group went on to be influential figures in the squad which thrived under David O’Leary. Hart left his job at Thorp Arch in 1997 after rumours of a fall-out with United manager George Graham but he is poised to return to the club in the days ahead. United have been without an academy boss since Neil Redfearn resigned from his post in July. 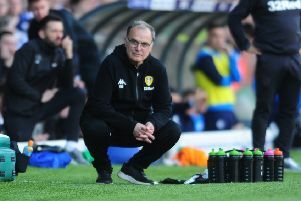 Redfearn, who worked as head coach during the second half of last season, claimed his position had been made “untenable” following a bitter fall-out with Cellino. Leeds have made a number of appointments to the academy in the past month, naming Daryl Pugh as head of coaching, John Anderson as Under-18s coach and former Leeds striker Andy Gray as Under-16s coach. Hart’s role is expected to place him in charge of United’s development squad. Adam Underwood, who occupies the administrative role of academy manager, will remain in that post. Underwood has managed United’s Under-21s on an interim basis since the start of this season. Hart went on to manage a number of clubs after leaving the academy at Leeds, including Nottingham Forest, Barnsley, Queens Park Rangers and Nottingham Forest. He has also run the academies at Charlton Athletic and Notts County.